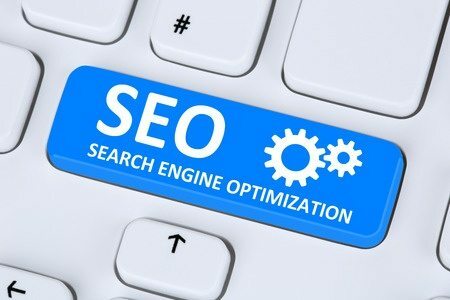 Search Engine Optimization, or “SEO”, is “the process of affecting the visibility of a website or a web page in a web search engine’s unpaid results – often referred to as ‘natural,’ ‘organic,’ or ‘earned’ results.” Typically, websites that appear on Google’s first page, within the first five results, get the most visits. Successfully utilizing SEO is crucial to establishing a strong website, company, and brand. So what can you do to make sure SEO is working in your favor? Some things you can do on your own to promote SEO is to regularly upload quality content to your website (i.e. blogs), create a user friendly browsing experience, ensure that your website is compatible on both computers and hand held-devises, insert internal links throughout your website, and engage in social media marketing. Search engines like Google pick up on this activity, which leads to your website appearing higher in search results. The more your website is visible, the more business you can bring into your company. If the thought of implementing your own SEO strategy seems intimidating, there are several SEO companies that can help you out. Some services that an SEO company can provide are reviewing your site content and structure, technical advice on website development, content development, management of online business campaigns, keyword research, and expertise in specific markets. An investment in a skilled SEO company will often result in growth for your business. In the event you do hire an SEO company, you will need a Search Engine Optimization Agreement. An SEO Agreement establishes the parameters of an SEO company’s development and execution of a search engine optimization and marketing strategy for the client. A well-drafted SEO Agreement should be mutually beneficial for both parties and limit the chances of legal disputes arising as a result of misunderstanding. If you are looking to utilize SEO and need a SEO Agreement drafted or reviewed, contact a Traverse Legal Internet Lawyer today!